The Aspiring Enliven Care Centre (AECC) opened in October 2016 – and is the newest residential aged care facility in the Queenstown Lakes District. Our on site care centre provides rest home, hospital and dementia care – with priority access for Aspiring Village residents. The Aspiring Lifestyle Retirement Village is a joint venture partner in this development with Presbyterian Support Otago (PSO). 1 suite and adjoining lounge dedicated to palliative care for people of all ages. 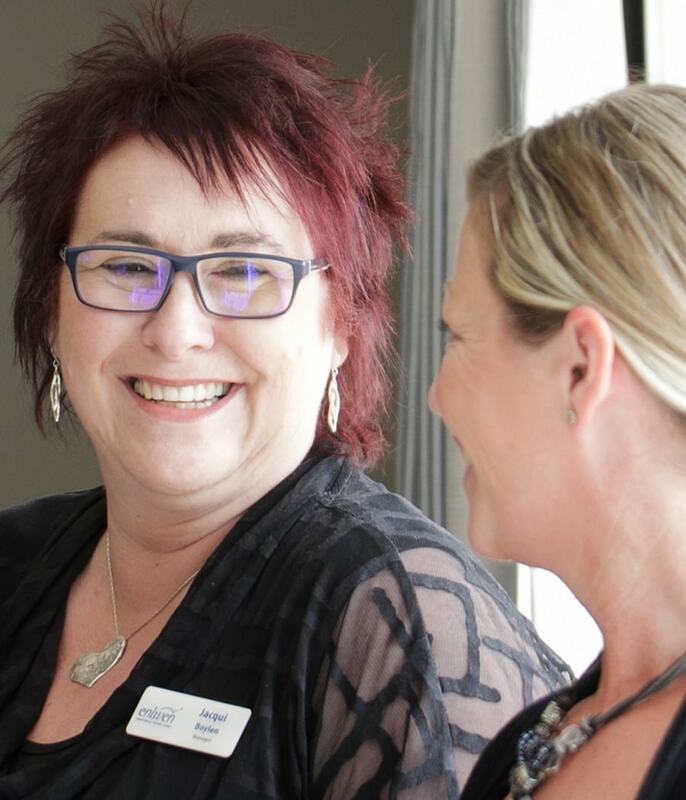 To discuss room availability, or request a tour, contact Jacqui Boylen, Manager, 03 555 3010 or visit the Presbyterian Support Otago website to find out more about this service. The Aspiring Enliven Care Centre, has been built to feel residential and homely, and managed on an ongoing basis by PSO – who have a strong reputation for care and support, seen locally at Elmslie House and throughout the rest of Otago. While you may not need this type of care at the moment, it is important to think ahead to what your future needs may be. We know from speaking to the DHB and studying demographics, that there is a shortage of good quality rest home, hospital and dementia beds in this area – and as the population continues to age, accessing residential aged care in the region will become more difficult. We guarantee that residents of the Aspiring Village will receive priority access to our Care Centre, providing that there is a bed available and you meet the assessment criteria for residential aged care. If there is a shortage of beds in the wider area, if you live in the Village you can guarantee you will get the first bed that becomes available in the Aspiring Enliven Care Centre, if you meet the assessment criteria.